The mission of The Brandeis School is to encourage intellectual development in a nurturing environment, instill in our students Jewish values and ethics as a way of life, and imbue in our students a respect and love for Jewish culture and the State of Israel. Our vision is to prepare our students to become the future leaders of the Jewish community. We offer a challenging and compelling General and Judaic Studies curricula. As a result, our students develop a strong sense of character, self-worth and intellectual curiosity. We believe that the study of Torah is central to the education of a Jewish child. Our active and vibrant Chesed program provides a forum for all families to perform the Mitzvot of Tikkun Olam, making the world a better place. The Brandeis School also fosters a deep connection to and love for the State of Israel. Our love of Israel is incorporated into the curriculum of each grade, culminating with our students’ trip to Israel in the 8th grade. The foundation for learning begins in our nurturing, respectful and stimulating environment of The Brandeis School’s Early Education Program. The primary goal of the Early Education Program is to create a warm educational environment where students develop independently and at their own pace. The curriculum facilitates activities that foster the development of positive self-esteem, independence and resiliency. We believe that the study of Torah is central to the education of a Jewish child. An active and vibrant Chesed program provides a forum for all families to perform the Mitzvot of Tikkun Olam, making the world a better place. The Brandeis School also fosters a deep connection to and love for the State of Israel. Our love of Israel is incorporated into the curriculum of each grade, culminating with our students’ trip to Israel in the 8th grade. To foster reading readiness, we employ a balanced literacy approach that stresses the essential dimensions of reading through the teaching of phonics. Comprehension and vocabulary are also developed through daily read-alouds, guided reading, shared reading, interactive writing and mini-lessons. By working in small groups, teachers allow students to successfully and independently apply these strategies to their reading and writing. Mathematics is also a priority in the Early Education curriculum. Students are introduced to mathematical concepts in a rich contextual environment that provides many opportunities to explore and investigate mathematics with tangible materials. The curriculum includes Mathematical Reasoning, Numbers and Numerations, Whole Numbers, Models/Representation, Measurement, Estimation and Patterns. Our General Studies Program also includes Social Studies, Science, Art, Music, Physical Education and Technology components. Our Early Education Judaic Studies curriculum includes basic lessons in Chumash (Bible), Dinim (Laws), Tefillah (Prayers) and Hebrew Language Studies. The Hebrew Bible, the earliest link in the chain of our tradition, is also the foundation of our collective identity and practice as a people. It is part of the legacy that the Jewish people have given to the world. Students learn portions of The Book of Genesis and are introduced to the Torah parsha ha-shavua. The Jewish way of life is defined by the practice of daily Mitzvot. Students learn about Shabbat observance and participate in weekly Kabbalat Shabbat services. The laws of Kashrut are observed throughout the building and practiced in each grade of our Early Education Program. Prayer is an integral part of each school day at The Brandeis School. Our children are taught, age appropriately, that in prayer we reflect about our deepest concerns and hopes, both as individuals and as part of the Jewish people. Our youngest students conduct Tefillah in their classrooms. Prayers and blessings are recited daily as well as on holy days and festivals. The Hebrew language is the key to the Jewish culture and tradition. Hebrew immersion, in which Hebrew is exclusively spoken, characterizes our approach to language acquisition. During the Judaic portion of each day, our teachers converse with the class in Hebrew. Vocabulary is introduced through concrete materials, pictures and gestures. For further information about our Early Education curriculum, please contact Leslie Gang at (516) 371-4747 ext. 302. In an attempt to merge current research with best practices, the 1st and 2nd Grade English Language Arts curricula is designed to develop a love of reading as students acquire the skills of phonemic awareness and comprehension. The 3rd and 4th Grade curricula is designed to strengthen this phonemic awareness and comprehension skills and to serve as a positive catalyst for instilling a love of reading. Our curriculum is aligned with the New York State Common Core Standards and students are taught to read, write, listen and speak for information and understanding; literary response and expression; critical analysis and evaluation; and social interaction. The Elementary School Mathematics curriculum is designed to introduce and enhance, through the grades, our students to basic number concepts and problem solving strategies within mathematical content areas. Students are taught to apply their mathematical knowledge to real life situations through the use of manipulatives, visual charts and diagrams. 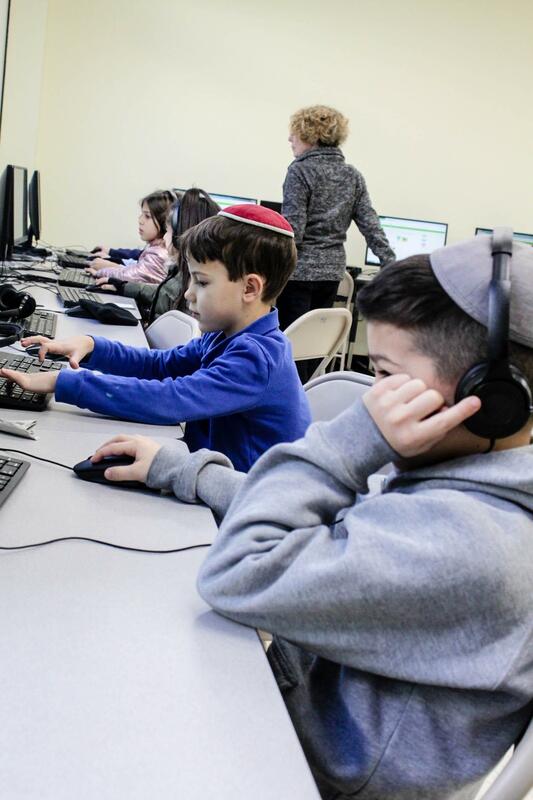 Our 3rd grade computer class offers students the ability to familiarize themselves with various programs and apps, providing them with additional technological tools and resources. By the end of 4th Grade, students have been taught the basics of algebra, geometry, statistics and probability. Throughout the Elementary School years, the Secular Studies curriculum also includes Social Studies, Science, Art, Music, Technology and Physical Education. 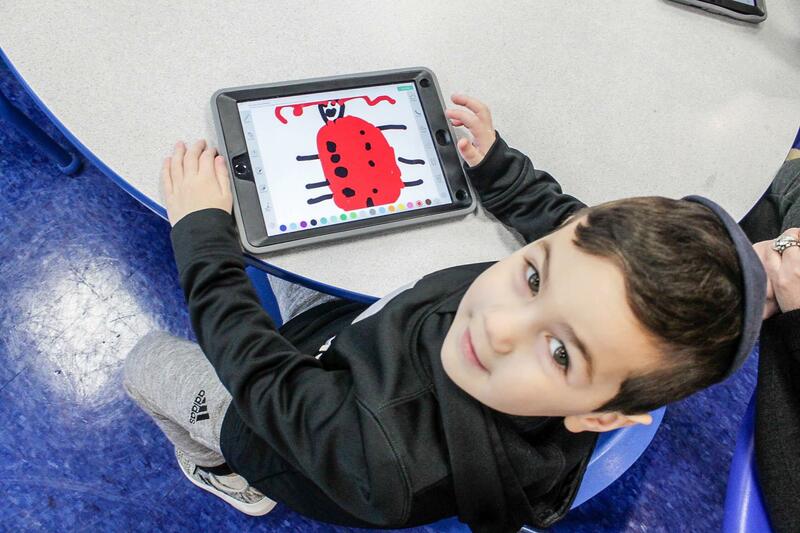 Our Elementary School programming fosters a rich environment of collaborative learning infused with technology and critical thinking. 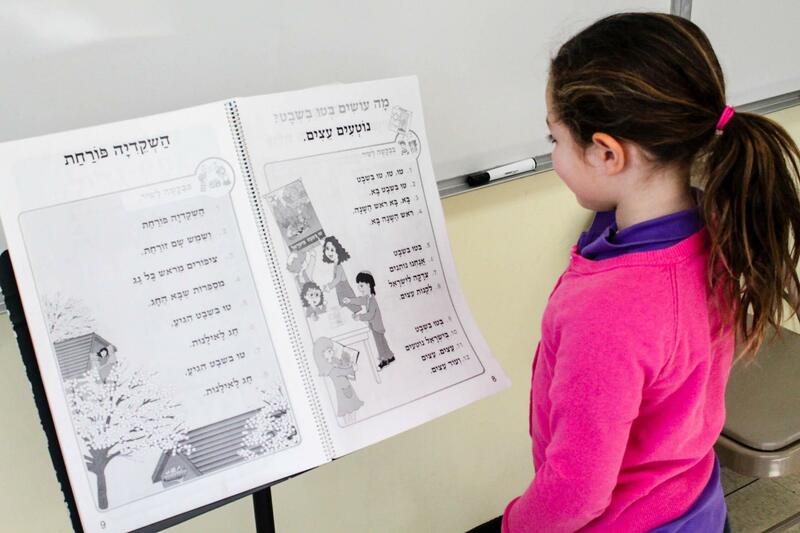 The Judaic Studies curriculum throughout the Elementary School years builds upon the foundation established in the Early Education Program. Students are immersed in Jewish values, heritage, texts and language. Students learn prayers, read from the Torah, perform Jewish rituals and Mitzvot, and connect with Israel in many ways. The Elementary School Judaic Studies curriculum includes increasingly detailed and nuanced lessons in Chumash (Bible), Dinim (Laws), Tefillah (Prayers) and Hebrew Language Studies. The Jewish way of life is defined by the practice of daily Mitzvot. Students learn about Shabbat observance and participate in weekly Kabbalat Shabbat services. The laws of Kashruth are observed throughout the building and practiced in each grade of our Elementary Education Program. The Hebrew language is the key to the Jewish culture and tradition. Hebrew immersion, in which Hebrew is exclusively spoken, characterizes our approach to language acquisition. 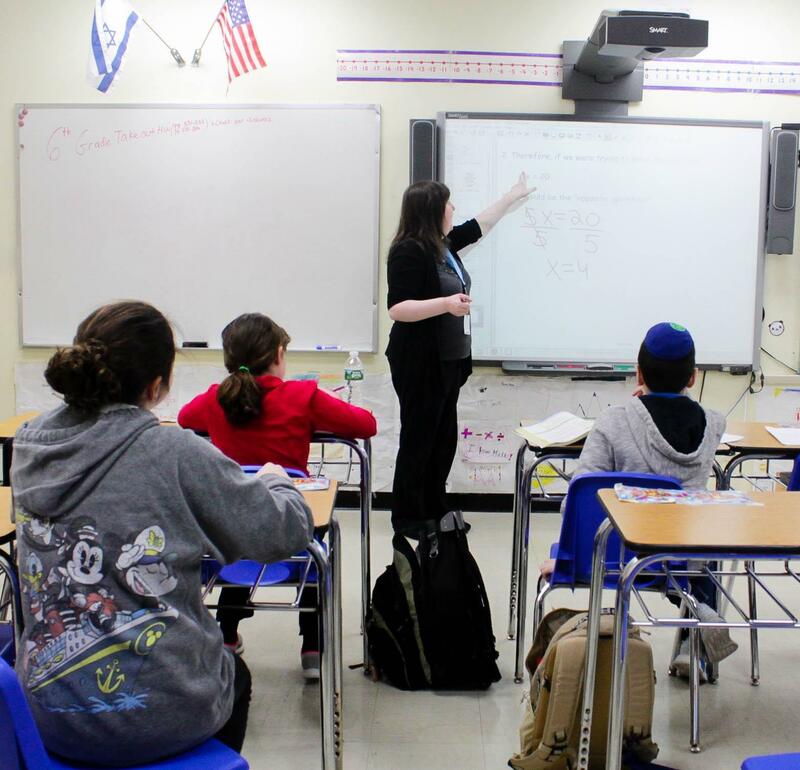 During the Judaic portion of each day, our teachers converse with the class in Hebrew. Vocabulary is introduce through concrete materials, pictures and gestures. Throughout the course of Elementary School, Hebrew language skills develop and strengthen in listening and comprehension, speaking, letter identification, whole word recognition, phonetic analysis and writing Hebrew in both print and script. For further information about our Elementary School curriculum, please contact Leslie Gang at (516) 371-4747 ext. 302. The Middle School English Language Arts curriculum is designed to build on students’ skills in reading, literature, writing, speaking and listening. Emphasis is placed on a variety of writing forms: narrative, descriptive, explanatory and creative. Reading instruction focuses on the development of vocabulary, comprehension and critical analysis skills. Throughout the Middle School years, students read Shakespeare and learn the skills necessary for research. Based on New York State Common Core Standards, students learn to read, write, listen and speak for information and understanding, for literary response and expression; critical analysis and evaluation and for social interaction. The Middle School Mathematics curriculum connects process understandings such as conceptual understanding, procedural fluency and problem solving to the content areas of Number Sense and Operations, Algebra, Geometry, Measurement, Statistics and Probability. Throughout Middle School Math, there is an accelerated and an on-grade track so that the individual needs of all students are met. The accelerated track leads to a Regents exam in Integrated Algebra at the end of 8th Grade. The on-grade track prepares students for the same Regents at the completion of 9th Grade. Students take the Living Environment regents in 8th grade as well. The Middle School curriculum also includes Social Studies, Science, Art, Music, Technology and Physical Education. Our Middle School programming fosters a rich environment of collaborative learning infused with technology and critical thinking. 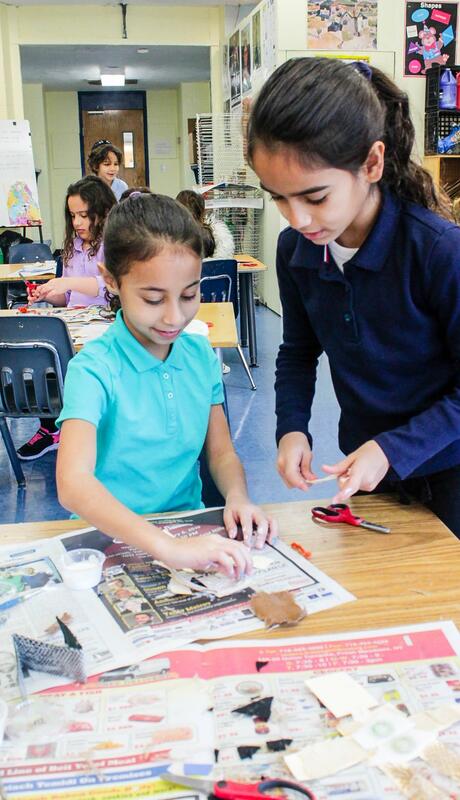 The Judaic Studies curriculum throughout the Middle School builds upon the foundation established in the Elementary School Program. Students are immersed in Jewish values, heritage, texts and language. Students learn prayers, read from the Torah, perform Jewish rituals and ci, and connect to Israel in many ways. The Tanach, the earliest link in the chain of our tradition, is also the foundation of our collective identity and practice as a people. It is part of the legacy that the Jewish people have given to the world. The Middle School Judaic Studies curriculum includes increasingly detailed and nuanced lessons in Chumash (Bible), Rashi, Dinim (Laws), Tefillah (Prayers), Navi, and Hebrew Language Studies. In the Middle School, students are also exposed to Mishnah, Talmud and Torah Reading. The Jewish way of life is defined by the practice of daily Mitzvot. Students continue to learn about Shabbat observance. The laws of Kashruth are observed and practiced throughout the building. Prayer is an integral part of each school day at The Brandeis School. Our students are taught, age appropriately, that in prayer we reflect about our deepest concerns and hopes, both as individuals and as part of the Jewish people. The Middle School participates daily in Teffillat Shacharit. Minyan is led by our students and Rabbi, and includes Torah reading on Mondays and Thursdays.